Will the Price of Oil Fall? Should Government Try To Solve Shortages of Oil? Should the Government intervene to deal with problem of Oil Shortages or is it better to leave it to a free market? As oil runs out, supply will shift to the left and the price will increase. 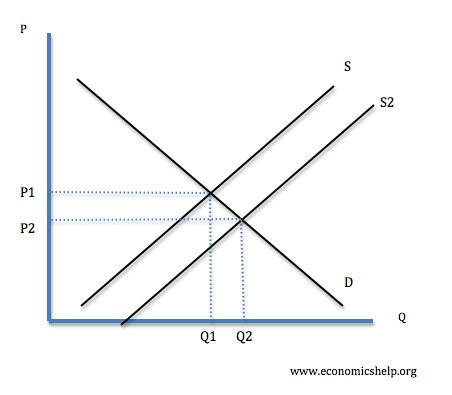 Because demand is inelastic, oil firms will make increased profits. This creates an incentive for oil companies to discover new oil supplies. This research is often expensive, so the higher profits is beneficial for encouraging investment. There are many oil reserves which are difficult to access, e.g. oil in the Antarctic and Siberia…. The price of oil reached another record high yesterday – $125 Brent Crude oil reached $126 US light crude oil reached $128 before setting back to $127 This means that, even adjusted for inflation, oil is now close to the all time high, last reached in the 1970s. What are the reasons behind the Recent Increase in price of oil? Strong Economic Growth. In particular growth from China and India have caused increased demand for oil and related products Shortage of Supply. 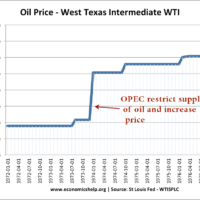 Speculation – People have been speculating on the continued rise in price of oil….